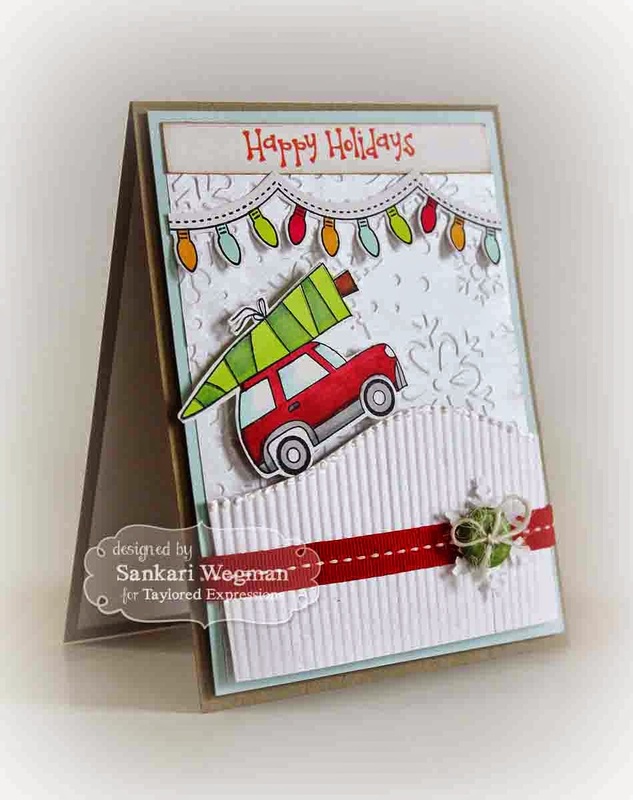 Today is the 4th day of my 31 day holiday challenge - how much fun it is to make holidays cards and get the holiday cheer on! 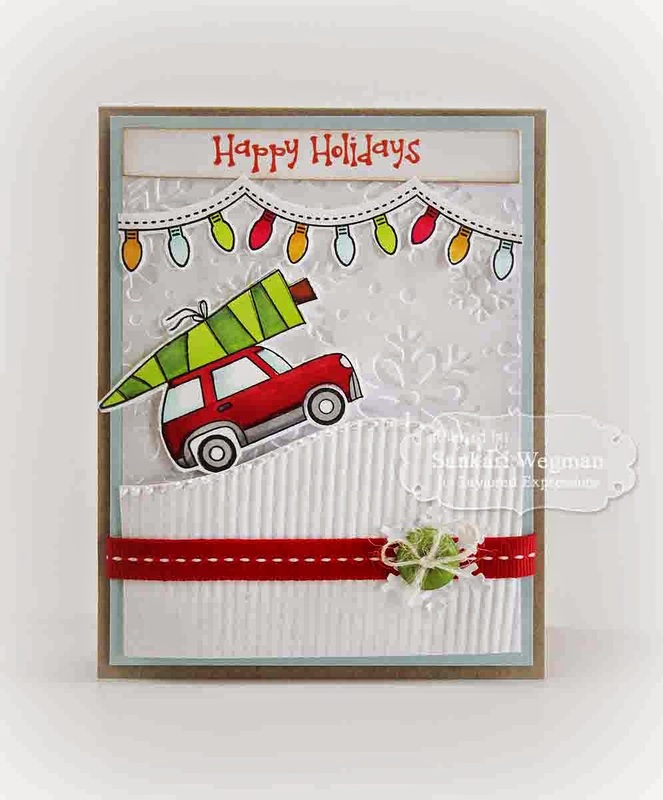 I also added a fun banner of Christmas lights from the Share the Light stamp set and added some texture by crimping the hills using the Build A Scene - Rolling Hills dies and some texture from the Winter Flurries Embossing Folder. Accessories: Build a Scene - Rolling Hills dies, paper crimper, red grosgrain ribbon, green buttons, twine, foam dimensionals, Best Glue Ever, Winter Flurries Embossing Folder, Liquid pearls and chunky glitter. 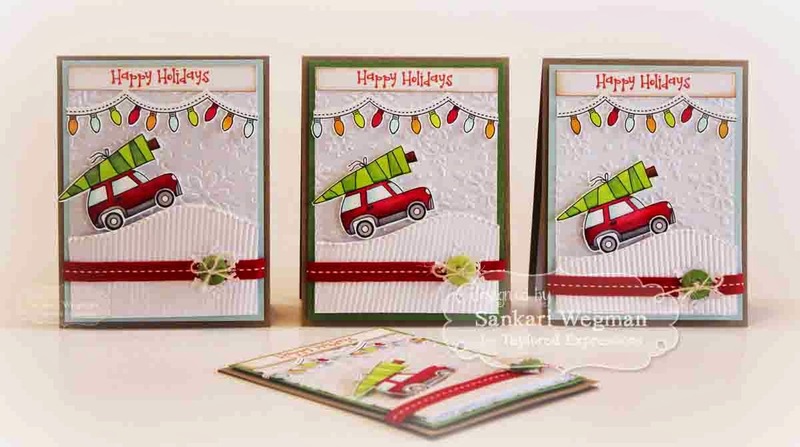 I love these cards - it was so much fun to color in those lights and create some campy Christmas cards!! Thanks so much for stopping by today and please hop over tomorrow for some more holiday cheer!